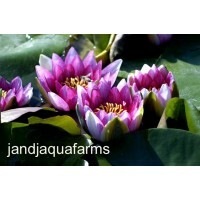 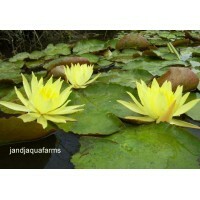 J & J Aquafarms has enhanced fine water gardens for over 30 years. 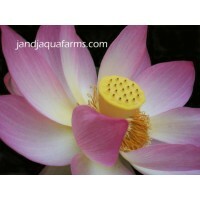 Our plants come with an old-fashioned promise: Your satisfaction is guaranteed! 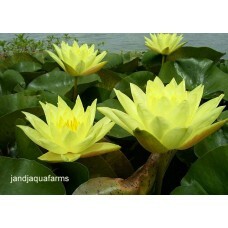 One of our largest lilies, the "Joey Tomocik" lily has 5" spectacular yellow flowers amid 9" bronze-speckled leaves. 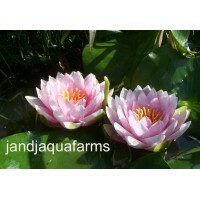 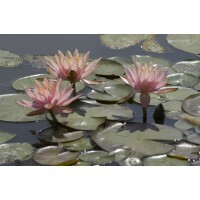 This water lily is fast growing and hardy to Zone 2 (may go dormant under zone 7). 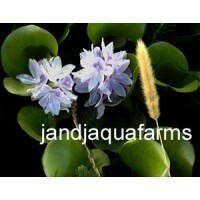 It ships fully grown with leaves. 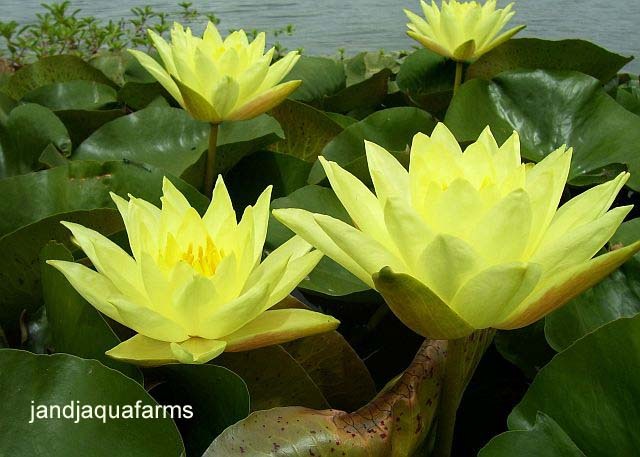 Please read the planting instructions to insure transplant success.While we gladly replace plants damaged in transit, please order when your area is past severe frost.